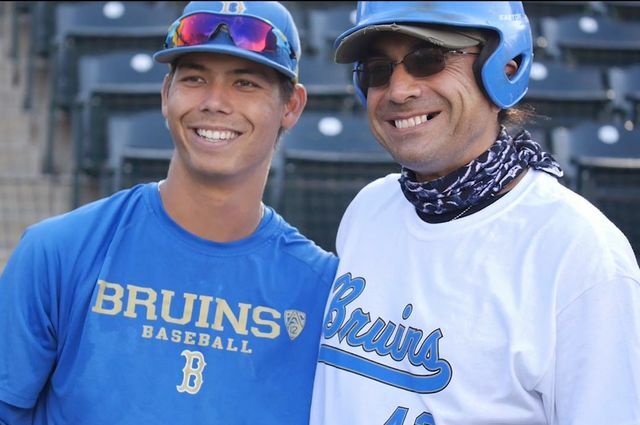 UCLA baseball utility player Brett Urabe and a military veteran share a moment at Veteran Appreciation Day, hosted by the UCLA baseball team at Jackie Robinson Stadium. Veterans met Los Angeles Dodgers manager Dave Roberts, played catch, batted and watched the team in action. 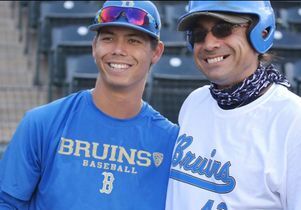 More than 100 veterans from all across Southern California took part in activities Monday when the UCLA baseball program hosted Veteran Appreciation Day at Jackie Robinson Stadium. 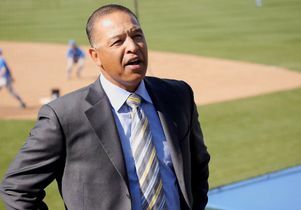 Los Angeles Dodgers manager and UCLA alumnus Dave Roberts opened the day of Bruin baseball and spoke to the group. Roberts, who played four years at UCLA in front of veterans at Jackie Robinson Stadium, grew up in a military family with a father who served in the Marine Corps for 30 years. "It’s one of my favorite days of the year and a tremendous opportunity to say ‘Thank you’ to everyone who has sacrificed for our country,” Guerrero said. After socializing on the concourse with Roberts, Guerrero and others, the veterans were invited down to the field to take batting practice and play catch. The group got a chance to interact with UCLA players and coaches, who gave them a few friendly pointers along the way. This season, the Bruins, who first began playing baseball on Veterans Administration grounds in 1933, will host three veteran appreciation games in which a veteran will throw out the ceremonial first pitch while the team honors all current and former service members by wearing special camouflage jerseys. As is the case throughout the season, veterans will continue to receive free admission to all UCLA baseball home games. The two shared some baseball fun at a day of activities for veterans, hosted by the UCLA baseball program. 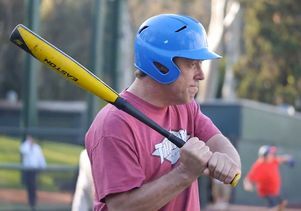 Veterans took batting practice at Veteran Appreciation Day hosted by the UCLA baseball team at Jackie Robinson Stadium. 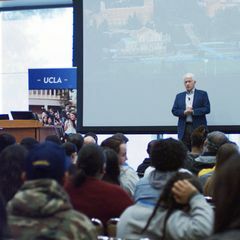 Roberts, a UCLA alumnus, is the new manager of the Los Angeles Dodgers. 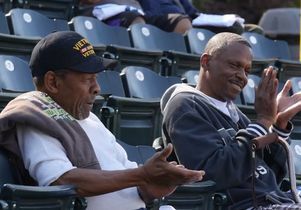 Veterans enjoyed watching UCLA's baseball team in action during Veteran Appreciation Day at Jackie Robinson Stadium.